“United Way is uniquely positioned to create community solutions that engage people, companies, faith communities, government, labor, nonprofits and more to create community solutions that drive lasting change and results in communities around the world”. 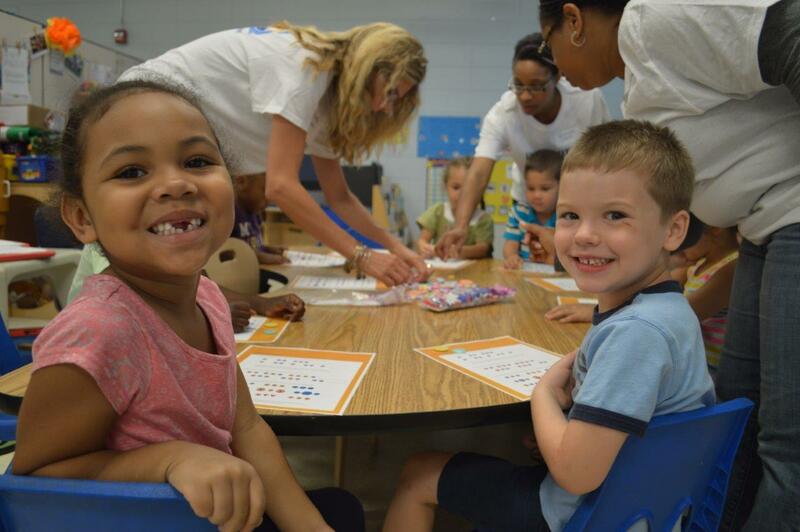 On June 23 2015, the Volunteer Resource Center team at the Heart of Florida United Way strategically partnered with several local organizations and schools to host a day of reading and literacy for underserved students in Orange, Osceola and Seminole counties. This event entailed mobilizing volunteers to participate in fun, interactive literacy games in an effort to promote reading and foster literacy in children over the summer months. Additionally, we engaged nearly 50 corporate and community organizations who hosted their very own book drives in advance of Day of Action by collecting new & gently-used children’s books. This focus on reading and literacy originates from the phenomenon called “Summer Reading Slide”—or the gradual decline of reading proficiency while children are away from the classroom. In fact, a recent study shows that while in middle-income neighborhoods the ratio of age-appropriate books per child is 13 to 1, in low-income neighborhoods, the ratio is 1 for every 300 children. The Heart of Florida United Way is overwhelmed by the generosity of those who participated in our Day of Action initiatives in the Central Florida community, and we cannot thank everyone enough for their support. We would also like to thank Depend for being a supporter of this initiative and helping make this possible. We are already looking forward to next year! If you are interested in other ways you can get involved, visit our website at http://www.hfuw.org or feel free to email ashley.pruitt@hfuw.org. Day of Action was sponsored by Depend. Depend and United Way are coming together to promote healthy, active, and independent living throughout an individual’s life, with a focus on volunteering. Yesterday I had the opportunity to attend a United Way Day of Action event at the Boys and Girls Club branch in Sanford, where we met up with Dana Taylor, co-host of MIX 105.1’s popular morning show. Dana first met with a group of 12-to 18-year-olds who were full of questions about how she began her career and became a successful radio personality. 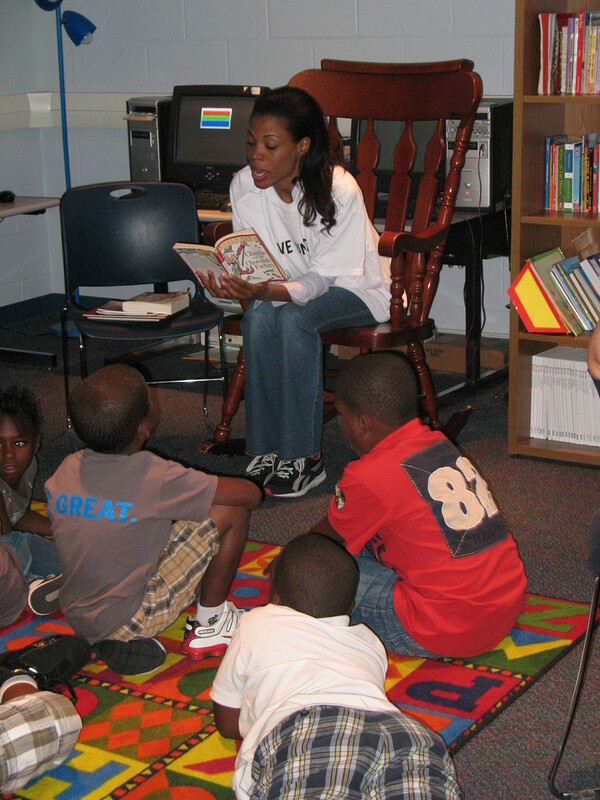 A true pro, Dana encouraged the kids to read more, find out what it is they love to do, and then the set educational goals to achieve their dreams. In keeping with the event’s focus on improving children’s reading skills, she also spent time reading her favorite children’s book, Charlie and the Chocolate Factory by Roald Dahl, to a group of six- to nine-year-olds. Day of Action, which takes place on June 21, is supported by United Ways across the country. This year’s event marked the start of a three-year goal to recruit one million volunteers to readers, tutors and mentors to help kids across America succeed in school and beyond. To meet Heart of Florida United Way’s goal of recruiting 3,000 local volunteers, we need you to LIVE UNITED and join us in becoming part of the solution. Click here to take the pledge and learn how you can make a difference in our community.